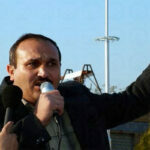 Human Rights Activists News Agency (HRANA) – Jafar Rostamirad, an Azerbaijani Turkic minority rights activist, has been summoned by Branch 7 of the Prosecutor’s Office, based in Tehran’s Evin Prison, for the last round of his defense statement. He has been given five days to go to the Prosecutor’s Office, a credible source told HRANA. 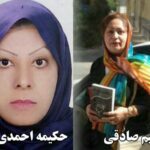 Rostamirad was arrested on July 2nd by plainclothes security forces in Tehran who did not present a warrant. His arrest was in connection with the Babak Fort gathering that occurred on the same day. 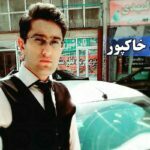 After spending seven days in solitary confinement, he was sent to Ward 209 of Evin Prison and charged with “Propaganda against the regime”. He was released on bail on July 31st. From the *Babak Fort arrests on July 2nd, Ebrahim Noori, an Azerbaijani Turkic minority rights activist, is the only one who remains in prison. He is held in Ward 209 of Evin Prison. Rostamirad had previously been arrested on February 21, 2015, after taking part in a private meeting to commemorate International Mother Language Day. *Babak Fort, a monument built during the pre-Islamic Sassanian period, is named after Babak Khorramdin, known for leading an uprising against the Abbasid caliphate in 893. In recent years, it has become a place of symbolic gatherings for Azerbaijani activists, especially during the annual commemorations in the first week of July. 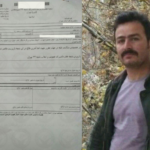 Human Rights Activists in Iran (HRANA) – Ebrahim Noori, an Azerbaijani activist from the city of Ahar who was arrested during the Babak Fort gatherings on July 2 and sent to Ward 209 of Tehran’s Evin Prison continues to be held after almost 40 days. Mr Noori is reportedly banned from contacting his family. A source close to Mr Noori told HRANA that Mr Noori was only allowed to speak to his brother on the phone “for a few seconds”. 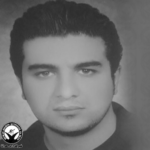 Born in 1991 in the city of Ahar, Mr Noori was previously convicted twice of “Acting against national security by waging propaganda against the regime.” He had received a combined suspended sentence of 16 months. Babak Fort, a monument built during the pre-Islamic Sassanian period, is named after Babak Khorramdin, known for leading an uprising against the Abbasid caliphate in 893. In recent years, it has become a place of symbolic gatherings for Azerbaijani activists, especially during the annual commemorations in the first week of July. 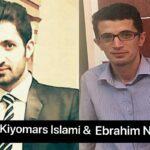 Kiyomars Eslami, another Azerbaijani activist, was also arrested during the same annual gatherings. He was reportedly released on bail on August 9th. Mr Eslami, who hails from the city of Moqan, was released on Thursday after a month in Moqan Prison. He posted a bail worth 120 million rials. He was arrested on July 4 and suffered bleeding in the head after he was beaten by Iranian authorities during interrogations. Mr Eslami had gone on a nine-day hunger strike which he began on July 28 in protest to the prison conditions and his unclear situation. 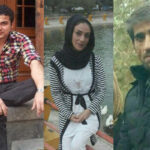 Ebrahim Noori is the only individual who remains detained from those who were arrested in connection to the Babak Fort gatherings.